There’s a good chance that your home – whether or not you’re aware of it – has got soffits installed. What is a soffit? You may well ask. 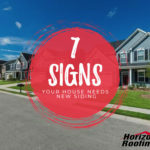 Walk outside your door and look up – the material that connects the side of your house and the roof overhang is the soffit. The soffit often looks just like plain planks or board that doesn’t really seem to be doing much to improve the home functionally. It certainly doesn’t appear to be an important part of the home’s structure. In fact, its main function appears to be largely aesthetic – possibly just to make the roof look prettier, or to cover up a bit of unsightly construction. 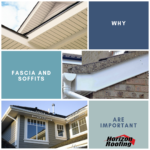 Well, just so you know, soffits do serve an aesthetic purpose but, more importantly, your soffits can also determine the performance of your entire roof assembly. 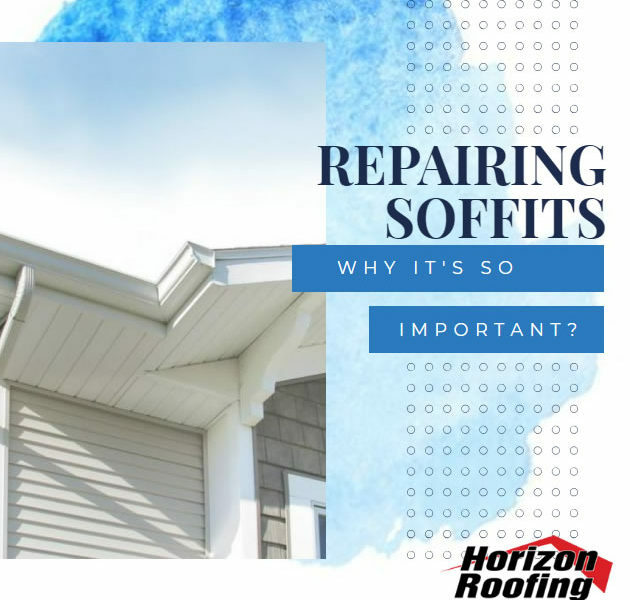 In this post, we discuss the importance of the soffit itself and why you should be really concerned about it sustaining any sort of damage. Why Should You Have Damaged Soffits Repaired Immediately? Installing soffits is generally the easiest way to protect your roof frame and to provide your attic with sufficient ventilation. Leaving your soffits in poor condition compromises your roof’s aesthetics as well as its integrity. Proper ventilation is needed to reduce heat build-up during the warmer and more humid days of the year. The soffit helps in drawing heat and moisture away from the attic and the house. 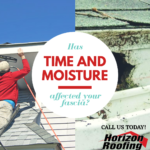 If this process is hindered due to damage in the soffits or by poor maintenance, moisture can develop in the attic, causing rot in the sheathing and rafters. Ice dams can also form in your eaves during winter as a result of inadequate attic ventilation – and we all know how detrimental ice dams can be to your roof. Aside from rot and weather-related damage, birds, bees, squirrels, and rodents – along with other destructive animals and pests – are likely to cause problems in your home’s soffits. Worse, they can continue to chew or peck through the material, especially since they tend to be attracted to water-damaged soffits, which offer less resistance. Once these pests successfully find their way into your roof and home, they can nest and subsequently damage parts of your roof and house.